Indeed, my main focus is on sustainable and steadily growing dividends. That’s passive income in the form of earnings distributions by the companies I own a small piece of. These dividends start out small, but through the the power of compound interest they grow over time into a passive cash flow that’s so massive it covers your daily expenses. At that point in time you’ll be become financially indepedent. Compound interest in itself is a magical phenomenon since a pile of money automatically grows faster and faster over time, but through dividends it becomes even better. Dividend growth investing adds a special ingredient through what I call double dipping: while the dividend growth stocks you own try to increase their distributions every year (internal compounding), you can aid and fuel the compounding process by re-investing already earned dividends (external compounding). As a result you effectively double the compounding effect and really propel your financial independence date forward. That’s why I find keeping track of my income growth is so important. It gives me monthly feedback on my progress towards financial independence. Year over year growth shows that I’m on the right track, while flat numers or even a decline means I need to step up my game. And by posting my numbers here you guys get to follow along and see how my strategy materialises over time. The main reason why I prefer dividend growth investing over other long-term strategies lies in the fact that it provides a re-inforcing stimulus every couple of days. On top of the salaried pay check that hits my account every month, there’s also a ton of dividend payments that trickle in on an almost daily basis. Even though these payments are rather small, I’ve found that they provide a great mental boost to continue my efforts to reach financial independence. Furthermore, I believe it’s relatively easy to put together a portfolio that throws off a sizeable amount of passive income on a regular basis. At the moment I’m at 1,800 Euros in forward dividends after taxes – a large amount of money for a little over two years of progress and given the low interest environment we’re currently in. The list below shows all dividends I’ve received in the second half of 2016. All dividends are listed in Euros, and are after foreign withholding taxes and a 27% income tax levied by the Belgian federal government. 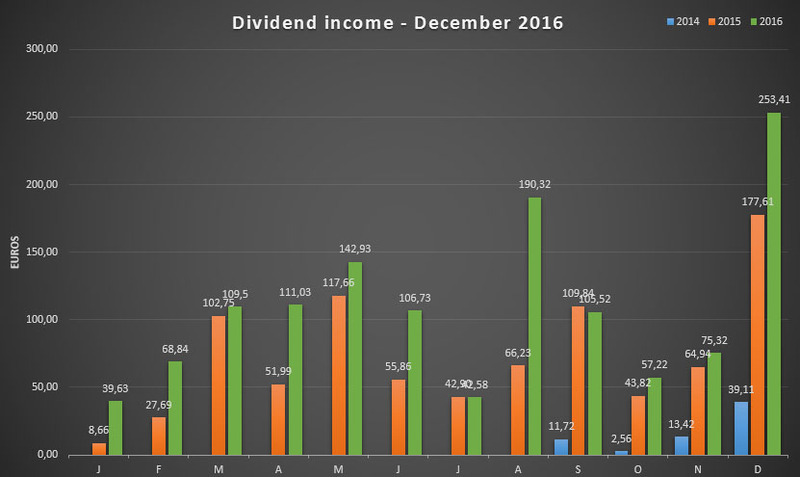 The total amount of dividends for the second half of 2016 comes out at €724, which is almost as much as I received for the entirety of 2015. Most of the growth obviously comes from new purchases such as Belgian mono-holding Solvac (EBR:SOLV), which only holds shares of chemical group Solvay, and increased positions in brewer Anheuser-Busch InBev (EBR:ABI), utility National Grid (LON:NG) and chipmaker Qualcomm (NYSE:QCOM) amongst others. Dividend growth was limited because of the increased taxes in Belgium (+2%). Of course, currency fluctuations also mask the effect of dividend growth somewhat. While healthcare giant Johnson & Johnson (NYSE:JNJ) hasn’t increased its dividend payment in US dollars in the past six months, the net payment I received still changed from €8.69 in September to €9.00 in December. Nevertheless, I’m stoked about these numbers. Even though the individual payments are relatively small, combined they add a ton of real purchasing power straight into my pocket! €1,302.76 for the entire year, to be more precise. Easily my favourite time of year to drool over the dividend tracking spreadsheet I made is the end of the year. That’s simply because it then clearly shows the growth that both my portfolio and dividend income have undergone compared to the year before. In 2015 my motto was “triple digit gains”, so it’s sad to see that coming to an end with my overall income being to high to keep up the initial growth – which is of course perfectly normal. Though there were only four months with triple digit numbers, I still managed to make good progress and even crush my previous income record from December 2015. As a result my passive income from investments at the end of 2016 stood 49.75% higher than the year before! Clearly the companies I own a small piece of have no idea what downtime is. They continue to work tirelessly to increase their bottom line and earnings, and thus my future dividend income. Their ceaseless efforts are reflected in the chart below. As a result my average income for 2016 also grew by a rather large amount: up from 2015’s €72.5 to €108.56 on average. And with my most recent acquisitions that number can only grow in the future, especially since new dividend income will be re-invested in the stocks I already own or in new opportunities. At the start of 2016 I set my sights on a €1,500 dividend target. While that number might have been a long shot, it turns out I came relatively close. The main reason why I didn’t make it lies in the fact that I invested more in European companies that mostly pay a dividend once a year than I assumed at the beginning of the year. Still, I still feel like I’ve won the big lottery ticket! Earning over 1,300 Euros without having to lift a finger is a great feeling. That’s why I continue to save and invest like a madman to fuel my financial independence and propel my early retirement date forward. Sure, I might not be able to afford everything I want, but I certainly feel like I can afford anything I want. For 2017 I’ve decided to set my passive income goal at €1,900, which is a 600 Euro increase from 2016. That number is a bit more realistic than last year and should be perfectly doable without any major headwinds. Speaking of headwinds, the Belgian federal government in an attempt to balance their budget have decided to increase dividend taxation once again. In 2017 I’ll be paying an additional 3% of taxes on all dividends for a total of 30%. Any further tax hikes will most likely lead to a change of strategy because it’ll eat into my future returns too much, but for now I’m staying put. Thank you for reading and for your continued support. Let’s make 2017 a big success together! Great overview. Cool to see you got pretty close to your target for 2016. Best of luck for 2017. Congratulations on (almost!) hitting one of your goals for 2016! On your last post you talked about selling your Global ETFs and investing that money in more dividend stocks but then you also mentioned rethinking what you did because of the taxation increase. So, which are you going to invest on this year? Also, aren’t stocks domiciled outside the US subject to an even higher tax? I sold the ETFs in August, whereas the change in taxation was only introduced at the end of November. For 2017 I’ll stick to purchasing quality dividend stocks. Foreign stocks are often doubly taxed for me indeed. US stocks are at a 15% withholding tax in the US and another 30% in Belgium. Hi, there should be a tax agreement between US and BE in order to avoid double taxation. Im a german resident and it is like this. So the 30% in BE does not come “on top” of the 15%. Your total tax burden should be 30%, as the taxmas in BE should accept a deduction of the 15% paid in the US. If I’m wrong, then you shouldn’t invest in US stocks. If you are really keen on some US stocks, you could always DRIP them to try to postpone the tax burden, although Im not sure if this is possible. For some weird reason Belgium is the only country in Europe where it doesn’t work that way. So far for the principle of “no double taxation” in the EU. 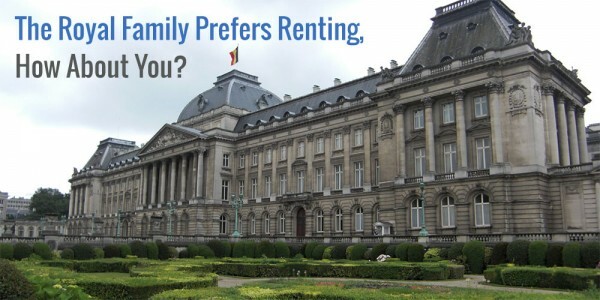 We do pay 15% to the US government and another 30% to the Belgian government. The tax burden can’t be postponed because it’s collected on payment (or when you DRIP). This is the case for any foreign stock! Look at the Russian country “RBL” etf, Bought it several months ago, 20% plus profit now and it provides a net 5% yearly dividend on top, has bottomed out (now above it’s 200 days average for several months). I have put 2500 euro in it and receives 125 euro per year in net dividends. I have a list of 60 plus country etf’s that I review once every two months, and many of them are giving fabulous dividend % while having low etf fees, besides giving good share price profits if you enter at the opportune time: Brazil up 50% plus, India up 70% plus, Pakistan (PAK) has now gone 50% up in one year besides giving a 3.8% net dividend, as an example. I try to buy the ones that have a very low P/E <10 and a P/B price-to-book value < 1 and are turning around (chart prices going above their 200-day moving averages and staying there), so that I have a margin of safety on my side.. I cash the dividend in, and patiently wait for the chart price to go up, before selling when the P/E and P/B become expensive (P/E above historical CAPE ratio, P/B above 2 or 3), thus moving from expensive markets to the cheap ones, while keeping dividends rolling in, and making a supplementary share profit from buying low and selling high. I have a rolling investment in several country etf's, surfing from wave to wave once every few years, leaving the crashing waves, and moving to the growing waves, while continuing to get my dividends. I have to change only once every few years, because that is how slow those things move. Concerning foreign taxes on top of your 30% Belgian dividend tax, do as I do, put it in code 1170 in your tax paper and get it substracted from your gross income, therefore you can invest wherever you want, as long as you forward them a proof that you bought and paid the foreign tax for your purchases and received dividends.I get it from my bank (keytradebank) or print out the bank receipt every time I do a purchase, to tally it into a spreasheet. If you do not trade often (I don't) , this represents a small additional work, and a substantial tax reduction the next year in June…. Interesting, how long have you been following this strategy and what is your annualized return? Could you please elaborate on tax code 1170, because I can’t find anything that resembles what you’re suggesting. Am I correct in that you subtract your foreign taxes from your taxes every year? E.g. 15% tax on US stocks is substracted from your gross income, basically leaving you with only 30% of total tax burden on dividends from the US? Good work. Nice to see that every year you have bigger goals. I think that the psicological point of receiving dividends regurlarly is important. In my case, despite I have some stocks I’m moving to funds as I have realized that I can do the same withouth paying taxes (only at the end). In my country, Spain, we pay around 20% in taxes… and it seems to me huge, when I have read that you will have to pay 30% I worried about it. Our politicians will copy that. I agree that the psychological aspect of dividend investing is important. It’s one of the main reasons why I prefer the strategy over others. A question about taxation of dividends in Spain. Do you have to declare received dividends as some kind of ‘income’, and are you then taxed (at a rate of 20%) on all your income, both from working and from dividends? In other words, in Spain, all income is simply taxed at 20%? Nice results NMW, looks you can already cover around 2 months of expenses with your current dividend income. I’m currently projecting 2017 dividend income of over 1400EUR with constant currency exchange rates. In 2017 I should be able to cover about two months of expenses easily indeed! I noticed that a while back myself and couldn’t actually believe it. I really like following your progress since we started around the same time. Looking forward to what you’ll pull in in 2017! Great work on growing that portfolio, and the dividends. The increased dividend taxes sounds awful though. In the Netherlands we only pay a 15% tax. Is it similar that you can redeem some or whole through tax returns? The taxes on dividends are a bummer indeed, but I’m still making good progress. Just have to be mindful of some purchases. Contrary to the Netherlands we don’t receive a tax reduction, so it’s a set percentage. Congrats NMW on beating last year. Good luck on this year. Cheers, DFG! Best of luck to you guys over there as well. Any tips for companies your are going to invest? Awesome, right? Like Ambertreeleaves says below: I can take two months off work now! Currently there’s not much on my radar, although I’m tempted to increase my position in AB InBev (EBR:ABI) and Unilever (LON:ULVR). And I’m looking into Warehouses de Pauw (EBR:WDP), but it’s a bit too expensive for my liking at the moment. I’m sure something will pop up soon enough! When in need, you can take 2 months of holiday with your dividends. How cool is that? All the best with your 2017 goal! Such a cool idea, actually! It didn’t really hit me when I first put my numbers together, but I’ve actually managed to get two months’ worth of expenses in dividends already. Nice job! You are doing great and you are spot on, on why dividend growth investing is incredible. Loving it. Here we come, 2017! Cheers, Lanny! You guys are one of my inspirations, so let’s crack 2017 together! How could I forget? Glad you decided to let me know how things have been so far. Great progress with a 12% gain in just two years with continued investing. Keep it up! Wow, really great progress NMW! My dividend income goal for this year is just slightly lower than yours, but it’ll be fun to see with what we end up with next year. Honestly, I am just hoping for a 10 to 20 percent correction. I find everything quite expensive at this moment in time! And I second your sentiment. It’s tough for me too to find value in today’s market, but that can all change rapidly of course. Just stick the course and we’ll become financially independent for sure. PS: great blog on your end too, going to follow along! NMW – Simply amazing. Great end to the month. Keep up the amazing progress and best of luck in 2017! Thanks, Bert! Just told Lanny that you guys are a major inspiration, so right back at you! Good job on the spreadsheet. Found it in 2015 and now again in 2017. 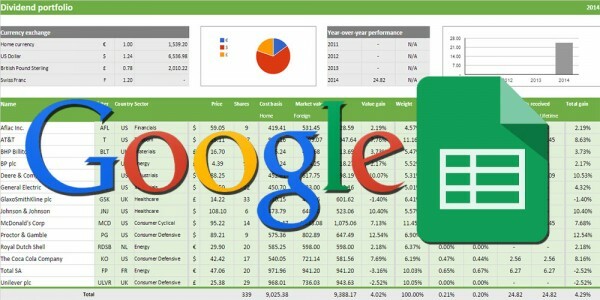 Found some errors in your google sheet. I think Fiskars should have ticker FSKRS, Koninklijke Ahold NV should have ticker AD and Sampo should have ticker SAMPO. Glad you found the spreadsheet helpful! The sheet hasn’t been updated since early 2016 if I’m correct so it might contain some errors since then indeed. I’ll look into updating it as soon as possible, thanks for your help. Great progress and good dividend goal you got. Good to see you posting again. Cheers, Tawcan! Glad to see you’re still rocking! You want to increase your received dividend this year to 1900 euro. I see that you have a very very long portfolio list. I would trim it significantly by selling the ones with the lowest dividend payout, and re-investing the proceeds into the five highest dividend payout ratio ones. This step alone will probably bring you a few hundred extra euros per year, without having to save more to get there. By trimming the lines with the highest P/E and P/B price-to-book value, you also make your portfolio stronger, since you trim the most expensive looking shares. Trimming the ones with not much cash (savings) and lots of debts (liabilities) and low Free Cash Flow (profits after all operating costs have been paid= net profits) on their balance sheets, is also making your portfolio stronger, since you only keep the strong profitable looking shares. But this is your portfolio and money, as such you just do whatever you think is the best for your savings. Thank you for your input! I’ll take a look at your strategy! Can you tell me what is your tax on US & Canadian dividends from stocks? Belgium has a tax agreement with the USA and Canada to reduce the foreign withholding tax to 15%. On top of that the Belgian government will keep another 30%. Quite a bit higher than you guys have over there, it seems. Holy crap… what a long list of companies paying you in December. Is it my imagination or did your portfolio grow over the last year. Solid job for the month and your chart continues to paint an attractive growth picture. Keep up the good work! The above list is not for December only, but for the second half of the year. Ha, sorry for the confusion! Still, the portfolio has grown quite nicely in the past year. I haven’t added many new positions but mostly added to already existing ones. The passive income they’re throwing off is starting to show that! What a great numbers you have shown here. Many good lucks for you….. Thanks! If you put in the work, luck hopefully does the rest! The power of DGI is incredible. We just have to be consistent and the dividend machine will respond nicely with sizable growth. Absolutely, D4F. It continues to amaze me how fast the numbers keep growing. Last month I had double the passive income from a year earlier… Too bad I won’t be able to keep up that pace, ha! I started to read you site today and I have a lot of things to read. Please, sorry if I ask something that you have been write here before but why don’t you save this 30% tax buying stock that doesn’t pay dividends or keep a % on ETF without pay dividends? 30% is too much. Think in 15 years how much money you waste with tax. I can bet that if you have bought stock that doesn’t pay dividends your portfolio would be at least 10% more than today because these 30% tax can work for you day by day. I want to understand the reason because I’m buying for retirement and I don’t need money now but if you need money, in this case is different. Thanks! I hope you found the information here useful. I agree that a 30% tax cut on the dividends is steep and a hefty price to pay, but it’s not a purely financial decision for me. I need the recurring stimulus for dividends to keep my motivation going. On top of that I’ve noticed last year that my performance was on par with buying ETFs (even after taxes) but with much less volatility. The main advantage is the dividends, however, they offer a higher cash flow, which in turn boost my flexibility. Of course, if you’re looking to purely grow your capital, ETFs are a valid and excellent route. Great looking website! I think it is great knowledge to share and to learn from each other. All the best for this year. Cheers, WL! Good luck to you too! Glad to meet another Belgian! It seems our numbers are growing, which is great to see. The Belgian perspective on FI is rather different from the US one, so it’s interesting to learn from each other. ETFs are a great way to learn about the stock market and to quickly diversify your portfolio – two of the main reasons why my very first purchase in the market was an ETF. Just came across your blog – superb find thanks to amber tree leaves! Looking forward to following along – good luck increasing your dividends YoY! Thank you for the very kind words! ATL is a great guy – we met in person last year. Great job overall, I’ve been following for a couple of years now. One question, what do you think about the Keyplan from Keytrade Bank? I’d love to hear your opinion! Thank you for following along and for staying in touch. The principle behind a Keyplan is great for people who don’t have a lot of money available every month, but still want to invest regularly with a long-term horizon. I don’t know all the details, so I can’t recommend it, but the idea is solid at least. Nice to see you post again and great job on the progress. I’ll trust you reach your 2017 goal! Cheers, P2F! Best of luck to you in 2017 too! I am also from Belgium and was on your blog some months ago. You are doing a great job with your blog. Congrats! But i wonder why you don’t buy fiscal optimalizing etf’s? I prefer etf’ s with irish Isin code and accumulating the dividends like Ishares s&p 500 in euro on the stock exchange of Amsterdam. Like someone else wrote already in this threat, in the long run you are losing a lot of money with this double tax on dividends. Another topic to mention is that some companies use their profit to buy back stocks instead of giving dividend! That’s very interesting for belgian investors. Buying back shares support or lift the stock pricewithout you are being taxed. A company like Visa has a low dividend yield but they do nicely buyack stocks regularly. There must be others…..
There’s an entire post on my blog dedicated to which ETFs are the most advantageous from a Belgian and tax perspective. You’re right that Irish accumulating funds traded in Amsterdam are the best. However, there’s more to investing than just numbers. And in this case it’s the fact that I prefer the recurring stimulus of receiving dividends. On top of that: my return was similar to IWDA (last time I checked in august 2016) even after taxes. Love reading your blog, don’t quit posting. One indicator I would like to know is the % you earn with your dividends, so that I can compare it’s total return % to just say, investing into an ETF. I’m not sure how to calculate this properly because I think you are also re-investing every month and also counting the current stock value in your net worth. Maybe the best way is: take the money you payed for all the stocks you hold at 01-01-2016, then get the total amount of dividends you got from those stock on 2016. Then calculate the percentage of return. You can also take the money you payed for all your stocks (not current stock price, amount you invested) and calculate the % you got from dividends. Of course in both cases, the total return should also take into account the stock price but I would prefer to see that separate. Basically I want to answer: comparing to a savings account that pay X or to investing in bonds or in an ETF is your strategy working better? My current net yield on my portfolio is 2.8%. My overal return is 15% since I started in augustus of 2014 and have continues purchasing since. Last time I checked my returns compared to IWDA (august 2016) they were very similar. I don’t have the numbers with me right now, but I believe IWDA performed 0.27% better. It’s still too early to draw long-term conclusions, but I’m happy so far. The most important thing for me is the dividend income and the fact that it stays at least stable, which it has done so far. Hi NMW, congrats on the achievement! Your double-dipping theory, however, is not correct because the share price drops by the amount of the dividend when it is paid out. So it’s actually a zero-sum game. Now if dividends are taxed higher than capital gains (which is true in my home country where capital gains are not taxed) one is actually worse off following a dividend strategy. Thanks for the link, I also find the dividend strategy odd – especially when dividends are taxed and capital gains from ETFs wouldn’t be. If you count the time you spend with analysis&bureaucracy vs simply buying&forgetting index ETFs, it really becomes an expensive hobby! The time spent to managing a dividend portfolio shouldn’t be exaggerated – it’s not that much work at all to be honest. And it’s a hobby for most people too, so it’s not wasted time. This way it’s just as rational as going for a total return approach. For me dividends offer a way to rationalize my long-term investing and delay my need for gratification. If fear that if I didn’t have dividends I wouldn’t be able to stick to long-term investing. I disagree that my investment stream is not passive; it’s a bit less passive than ETF investing, but still passive. I’ll give you that! 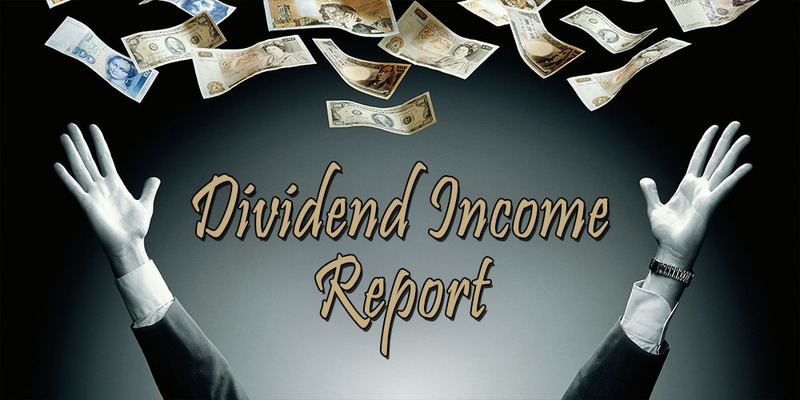 I am starting my journey with the dividend income strategy. Like you I live in Europe and I spend Euros, there is so little information on the web on Euro dividends. I was wondering: are you going to start a forum? It seems this would be a great way to provide starters a way to get their feet wet. 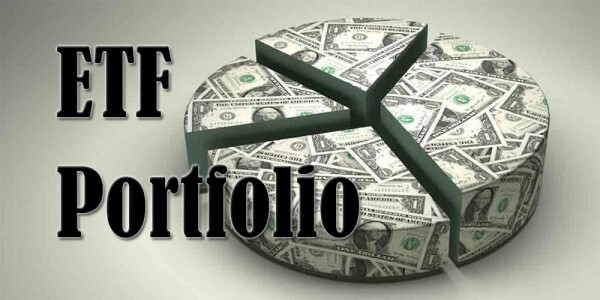 I am particularly interested in help to build my own portfolio. A forum sounds like a great idea, actually! I’m not sure if there are many other people interested in it, but I’ll look into setting one up if I find some time. Best of luck getting your own FI journey started and setting up your portfolio! I’m glad you understand my reasoning and logic. I know it’s counterintuitive if you look at it from a purely rational and financial perspective, but it does the trick for me. An ETF that invests in only high quality DGI stocks sounds interesting. I know there are some dividend funds, but they almost always distribute their dividends, so you’re back to paying 30% taxes on those dividends. If you find such an ETF, let me know! It’d be interesting to check out.